How do Daffodils and Jonquils Multiply? Daffodils and Jonquils, members of the Narcissus family, multiply by both bulbs and seeds. If you've moved daffodils, you've seen how daffodils multiply through bulbs. Those daffodils will be exact copies of their parent plants. Bulb hybrids come from pollinating flower stamens with different pollen, which will produce about 25 seeds per flower. 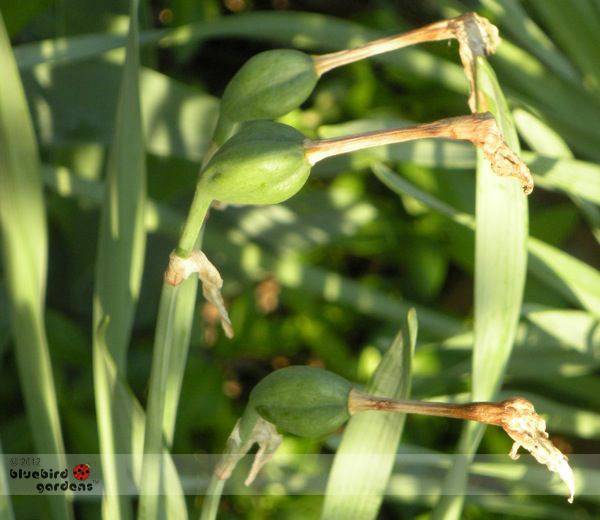 Those flower heads are usually the narcissus part that is removed when flowers are dead headed. It can take a professional hybridizer 5 years to get a new daffodil bulb developed!